Insurance News Namlifa's board director said that 2 motor insurance firms closed shop due to fraudulent claims. Examples of fraudulent claims include chopping fingers, faking deaths, exaggerating illnesses, setting fire on premises, unnecessary motor repair work and intentional loss of vehicles. PETALING JAYA: So serious is the problem that two motor insurance firms closed shop under the weight of fraudulent claims involving millions of ringgit. Insurance News Preliminary negotiation to sell MUI Continental to Liberty International has received BNM's approval. Malayan United Industries Bhd’s (MUI) wholly owned unit Novimax (M) Sdn Bhd has been given the nod by Bank Negara Malaysia to start preliminary negotiation with US-based Liberty International Holdings Inc to dispose its shares in MUI Continental Insurance Bhd (MCI). Insurance News BNM is reviewing the need for boards of insurance companies to be served by a dedicated head of risk, which is an increasingly common global practice. The central bank is also reviewing the role of signing actuaries of GI companies and may expand their role to risk management related areas. PETALING JAYA: Appointing a dedicated head of risk to serve the board of an insurer is becoming an increasingly common global practice aimed at providing assurance to the board on the quality of risk management within a firm. Insurance News HSBC Amanah Takaful achieved a 200% new business growth rate in 2010, driven by its retirement plans which formed 60% of its total sales. It plans to launch its first child education plan this year. HSBC Amanah Takaful (Malaysia) Sdn Bhd is confident of outpacing the industry growth this year as it did last year but the pace may not be faster. Insurance News The lack of long-term sukuk is undermining the growth of Takaful industry in Malaysia. July 2010 statistics: Takaful assets - RM13.9 bil; o/s Islamic bonds: RM293.2 bil of which RM41.5 bil with tenure >10 years. JAKARTA: The lack of long-term investment products is undermining growth in Malaysia’s Islamic insurance industry, spurring calls for more sukuk maturing beyond 10 years in the world’s biggest market for the debt. Insurance News Etiqa Takaful sets a contribution growth target of 12-15% this year after achieving RM2.4 bil last year. Etiqa Takaful Bhd aims to chalk up 12-15 per cent growth in premiums this year from RM2.4 billion in 2010 through greater consumer awareness and the launch of new products. Insurance News Slight difference in reinsurance wordings may prove costly to insurers. Eg: (1) Is prolonged period of floods 1 event or a series of events? (2) What triggers a flood: when the rain falls or when the water starts flowing into homes? (3) If a flood event straddles 2 contract periods, is it considered as 2 events? 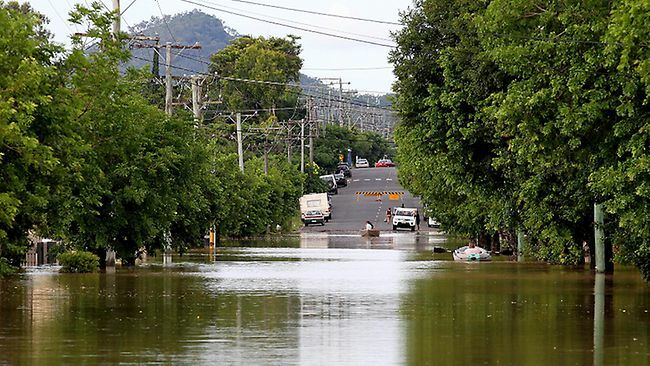 INSURERS will be forced to delve into the fine print of their own "re-insurance" contracts due to the duration and damage of the Queensland floods. Insurance News Lonpac was on track to meet its 2010 gross premium target of RM800 mil. Its motor business has a combined ratio of 95%. Lonpac plans to open 3 new branches this year, adding to its existing 15-branch network. GENERAL insurer Lonpac Insurance Bhd (Lonpac) says it is on track to meet the RM800 million gross premium target it had set for 2010, thanks to its underwriting experience in fire risks. Insurance News The Foreign Workers Health Insurance Protection Scheme will have cashless admission facility. 17 insurance companies (full list in the news article) participate in the scheme. PETALING JAYA: Employees covered by the Foreign Workers Hospitalisation and Surgical Insurance Scheme need not pay a deposit or produce a guarantee letter to be admitted to a government hospital. Insurance News Review of some major events in the insurance and takaful industry in 2010. The year 2010 marked the last leg of the Financial Sector Masterplan (FSMP) conceived 10 years ago with liberalisation measures kicking in the insurance industry as well as its Islamic equivalent, takaful. Insurance News Double-digit growth projected for insurance industry driven by ETP initiatives. Uncertain outlook in the western economies however may affect consumer confidence and hence performance of the industry. The Malaysian insurance industry is expected to grow by at least 12 per cent in 2011. However, there remains an uncertain outlook in the western economies that could shape the performance of the industry. Insurance News The oil Palm and rubber plantation firms are not happy with the compulsory contributions to the foreign workers health insurance scheme. Under the Workers Minimum Housing Standard & Amenities Act 1990, many estate owners have set up their own hospitals and clinics and only 2-5% of foreign workers sought treatment in government hospitals. The usage of public health facilities is therefore low. Oil palm and rubber plantation firms will now have to fork out another RM50 million to insurance companies. Insurance News A bank and an insurance company have each put in a bid to acquire OCA. The RM1.59 per share bid values OCA at 1.3 times book value. Insurance News Vincent Kwo has been appointed the new CEO for Uni.Asia Life. Uni. Asia Life Assurance Bhd has appointed Vincent Kwo Shih Kang as its new Chief Executive Officer (CEO) effective today. Insurance News Prudential Singapore will have Kevin Holmgren as its new CEO. The existing CEO Philip Seah will take on a regional role as Chief Agency Officer, Asia. Prudential Corporation Asia has announced leadership changes in its Singapore life insurance business, Prudential Assurance Company Singapore (Pte) Limited. Insurance News OACM will take over the general insurance business of Tahan from 1 Jan 2011. KUALA LUMPUR, Dec 30 (Bernama) -- Overseas Assurance Corp (M) Bhd (OACM), a wholly-owned unit of Great Eastern Holdings Ltd (GEH) will take over the general insurance business of Tahan Insurance (M) Bhd with effect from Jan 1, 2011. Insurance News Shortage of experienced talent continues to haunt the local insurance industry. THERE is a serious shortage of experienced talent in the local insurance industry, says leading player Great Eastern Life Assurance (Malaysia) Bhd. Insurance News AXA Affin General and BH Insurance will operate as one from 1 Jan 2011. AXA Affin General Insurance Bhd will merge with BH Insurance (M) Bhd and operate as one entity starting Jan 1. Insurance News Pacificmas shareholders have approved the sale of Pacific Insurance to Fairfax Asia Ltd. The disposal is expected to be completed in February or March 2011. Pacificmas will give shareholders back some RM215 million from the sale proceeds and focus on its two core businesses -- hire-purchase and fund management. Insurance News The PIDM Bill 2010 will come into operation from 31/12/2010. Takaful and Insurance Benefits Protection System (TIPS) is part of the Bill and is an explicit, limited Government protection system which covers takaful and insurance benefits. PIDM is empowered by the Bill to intervene in or resolve troubled insurer members and ensure prompt payments to claimants under TIPS. KUALA LUMPUR: The deposit insurance limit will be increased to RM250,000 per depositor per bank with effect from Friday, Dec 31, 2010 and this will protect 99% of retail depositors in full. Insurance News Hope that MoH's initiative will be successful in controlling medical inflation in particular curbing the abuse of charging patients with medical insurance higher amount. PETALING JAYA: Health Ministry will enhance its mechanism to monitor private health care providers and hospitals to prevent misuse of medical benefits provided under insurance policies by carrying out needless procedures and examinations on patients. Insurance News Uni.Asia could be the next insurer to be involved in M&A with sources saying that DRB is divesting its stakes in the insurer. Earlier UOB, the other stakeholder of Uni.Asia also divested its insurance arm UOB Life in Singapore to Prudential. DRB to divest stakes in Uni.Asia? Insurance News Allianz has received BNM's approval to commence talks with MNRB to acquire a stake in Takaful Ikhlas. BANK Negara Malaysia has granted approval to Allianz Malaysia Bhd to start talks with MNRB Holdings Bhd about buying a stake in Takaful Ikhlas Sdn Bhd. Insurance News Insurance sector is expected to grow at double digit in 2011. Some contributing factors are ETP initiatives while products driving the growth include savings and medical plans. PETALING JAYA: The insurance sector is expected to continue its growth momentum, albeit at a slower pace, with the life insurance business projected to grow by at least 12% next year. Insurance News MAA has obtained approval from BNM to commence negotiations with Zurich Insurance to sell its stake to the latter. MAA Holdings Bhd said it’s in talks to sell a stake in its Malaysian insurance unit to Zurich Insurance Co after ending negotiations with AmG Insurance Bhd. Insurance News Malaysia currently has less than 300 shariah financial planners and will be able to produce about 500 such planners following the tie up of MFPC with local institutes of higher learning. MALAYSIA will be able to produce about 500 syariah financial planners annually which would help meet the future financial needs of investors said the Malaysian Financial Planning Council.